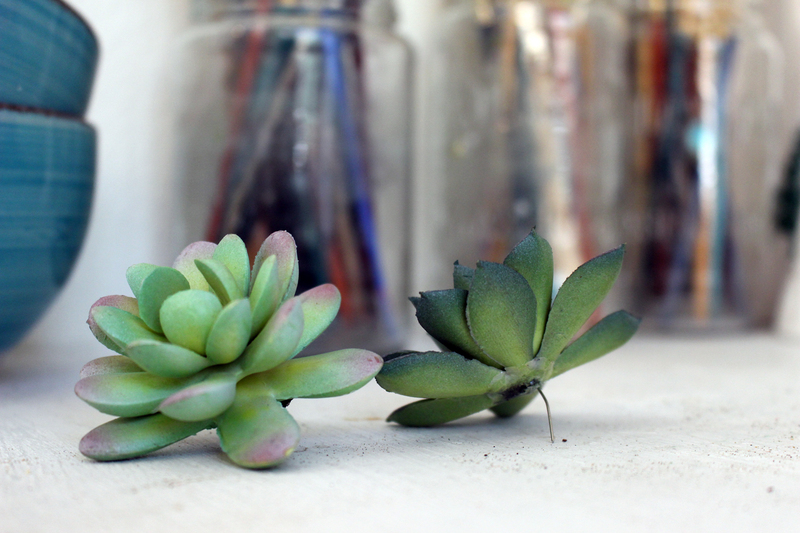 I first stumbled upon these faux succulents at the dollar store back at Easter time. 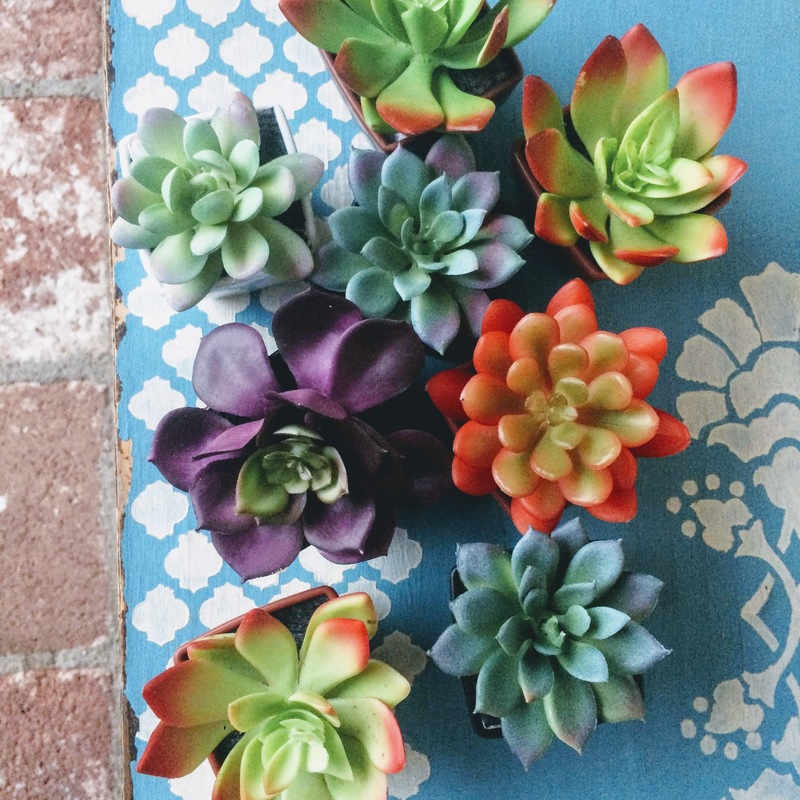 I was looking for something unique to add to my kids baskets and thought these succulents would look so sweet in their rooms or out in our garden space. I love getting them these kind of little trinkets and then letting them decide where they should be placed and what purpose they should have. I found them back in March but then never saw them again until this past weekend. I grabbed a whole bunch this time knowing how cool and affordable they are. I knew there was something sweet I could do with them. 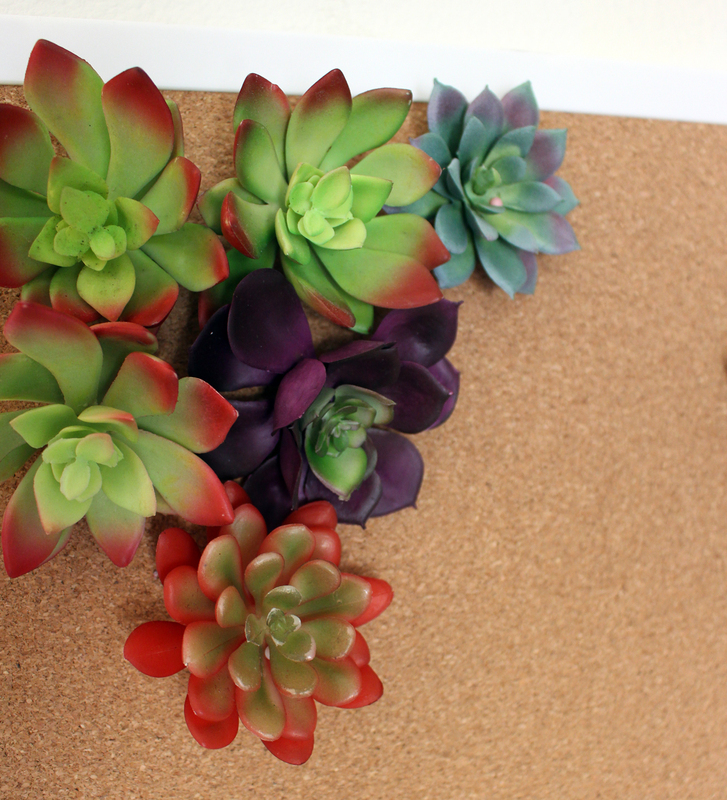 I had just bought my oldest daughter a bulletin board last weekend and I thought, how cool would it be to somehow arrange the succulents on the board. I was thinking of hot glueing them but then it dawned on me that I could create pins out of them and use them as the note holders themselves. I am so excited to mount this on her wall this weekend because it turned out so cute! Here’s how I made this project. I started by cutting the stems off of the faux succulents so that they had a flatter base. I couldn’t get the entire stem off of each one but I cut each one down as flat as I could. Next, I stuck a sewing pin through the bottom, center of each succulent. I only stuck each pin through the bottom layer of leaves so that it went all the way through the succulent and there was some pin sticking out on the other side. The last thing I did was to trim the pins down, with the wire cutters, after they were through each succulent. I wanted to make the pins shorter like pushpins. And walaa, I have pushpins with a succulent at the end of them. 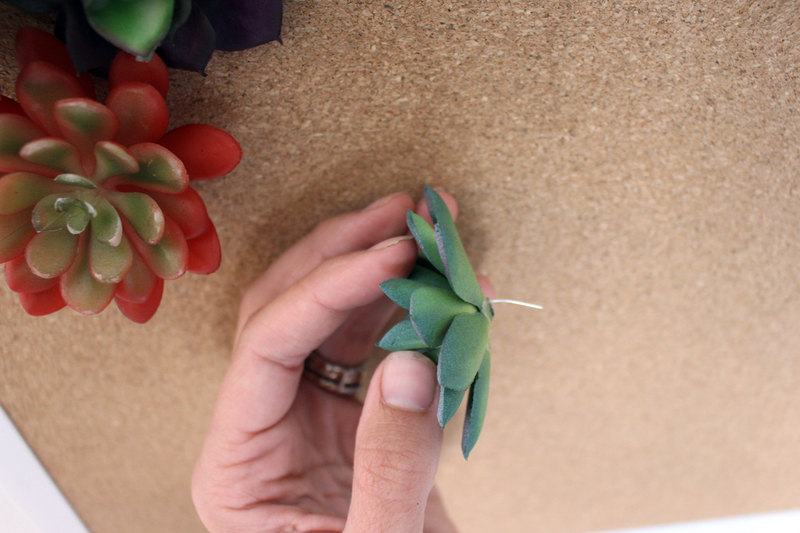 When I pushed the succulent pins into the cork board they came back though the succulents a little bit so I think I’ll add a dab of hot glue to keep the pins in place. 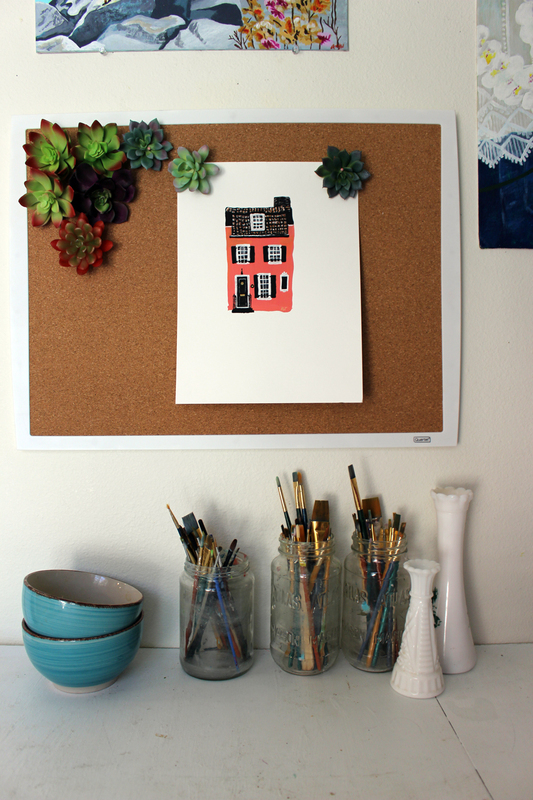 I think this project turned out really cool, I am putting it in my daughter’s room above her desk, I love the idea of her being able to arrange the succulents and pin up her ideas in her own space. Be sure to subscribe on my home page at the very top of the page if you would like to receive freebies and more creative ideas!! 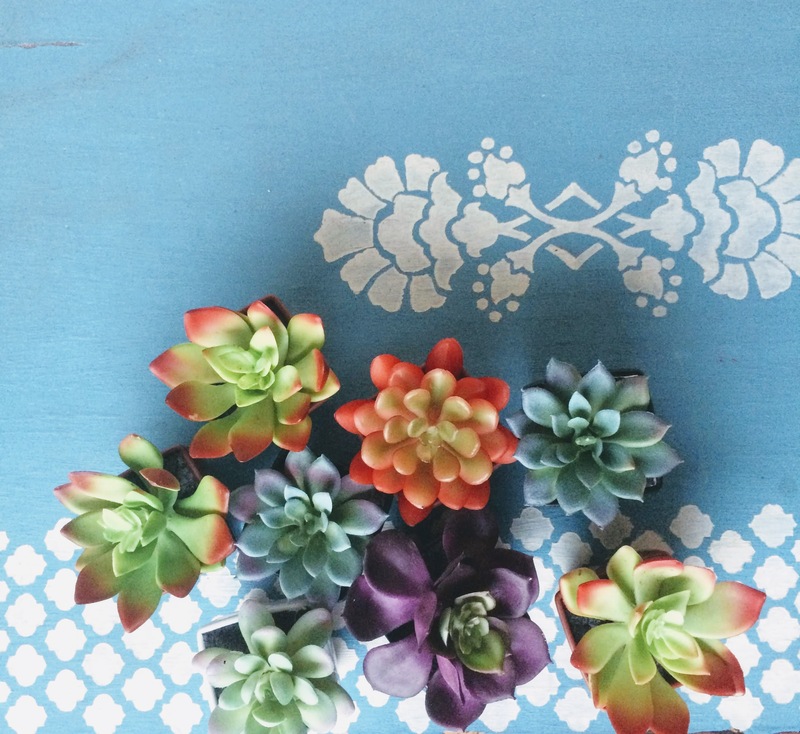 I just love these fake succulents and I will have to think of other uses for them this Summer! !